Originally Deans Town after the Dean of Dunblane acquired the land in around 1500. Misako Udo suggests An Dùn - the hill fort, but I think that is rather the derivation of nearby Doune. 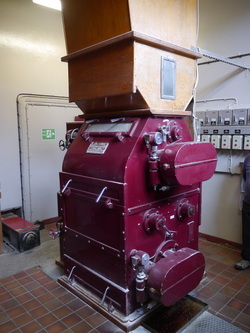 The website has basic information about the distillery, its history, and making whisky. You can also join their mailing list to be kept up-to-date on what's going on at Deanston. An online shop was promised soon in 2015, but has yet to materialise. 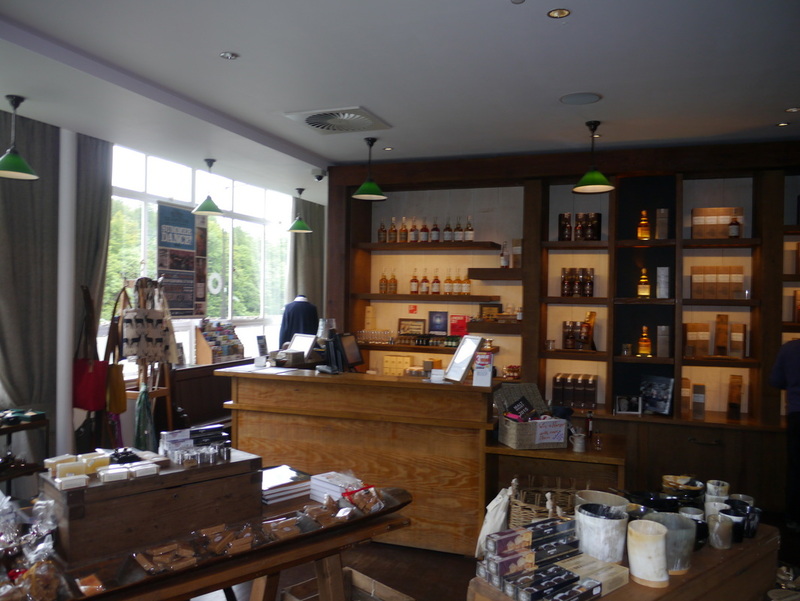 Deanston has now got a visitor centre and a coffee shop (The Coffee Bothy). 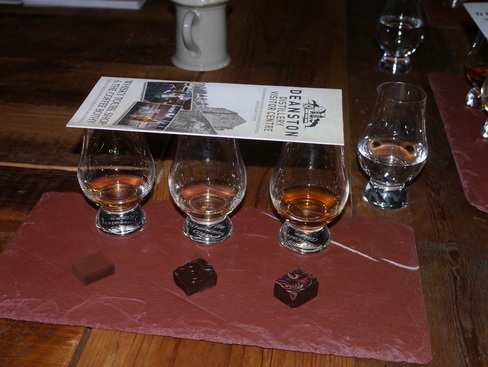 All tours include a taste of 12yo Deanston, a £5 voucher towards the purchase of a 70cl bottle of Deanston. 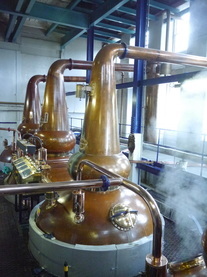 Standard Tour (£9); Classic Tour (£12) adds a taste of Virgin Oak; Tasting Room Tour (£26) includes the Deanston Tasting Room Experience and three drams; Heritage Tour (£35) adds a guided tour of Deanston Village, a visit to the Distillery's water source and three drams; Whisky and Chocolate Tour (£23 or £25) ends with a 3 (4 for the more expensive option) whisky pairing with Iain Burnett chocolates. Advance booking essential for the Heritage Tour, and advised for the chocolate tastings. Tours are on the hour every hour 10.00 to 16.00. The Coffee Bothy is open every day of the year except 25/26 December and 1/2 January. Generally open 10.00 to 17.00 (Coffee Bothy 16.30), but check website for opening hours, particular in late December/early January. A bottle your own facility is available. 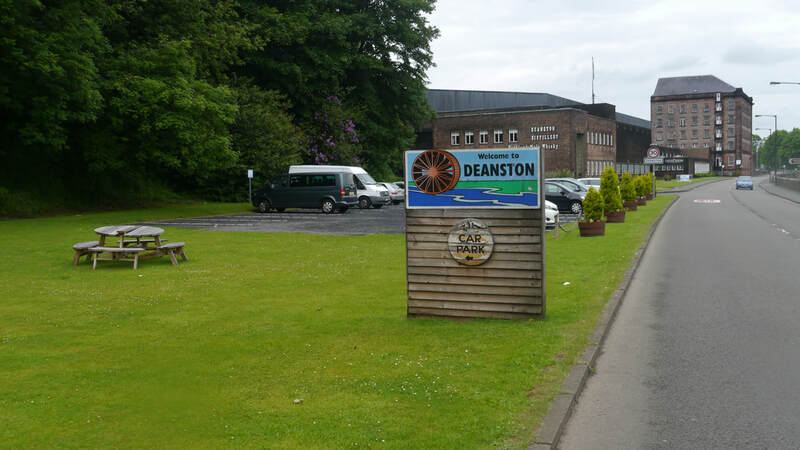 Deanston is photographer friendly, though no flash photography is permitted. 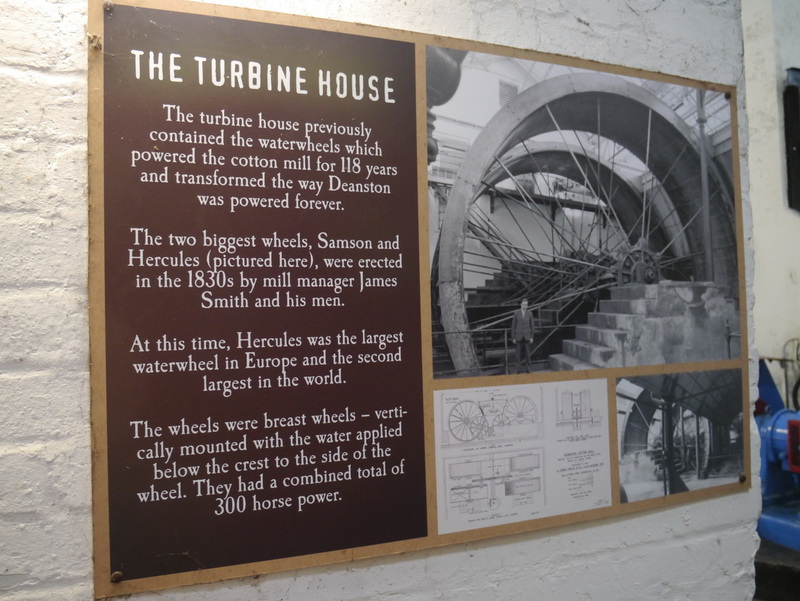 Dist﻿illery buildings were o﻿riginally a cotton mill dating from 1785, designed by Richard Arkwright. 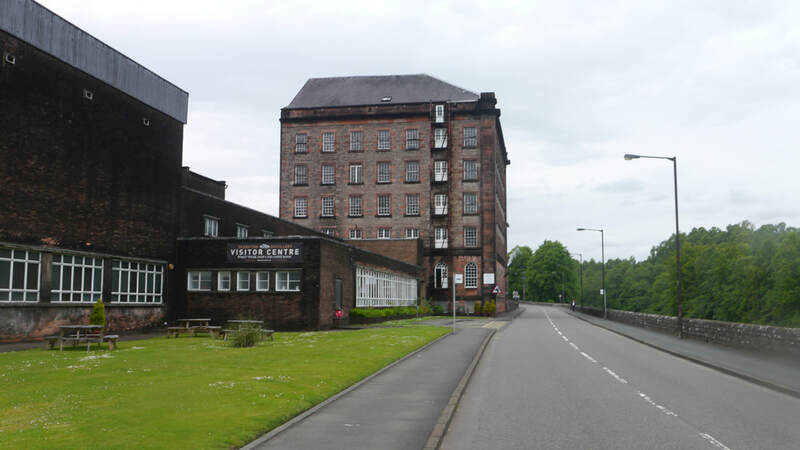 Bought by the Deanston Distillery Company in 1965, they converted the buildings into a Distillery and started producing spirit in 1966. The first release of malt was in 1971 under the Old Bannockburn label. The mill was powered by water wheels (see below), fed by a 1,500 yard lade from the River Teith. 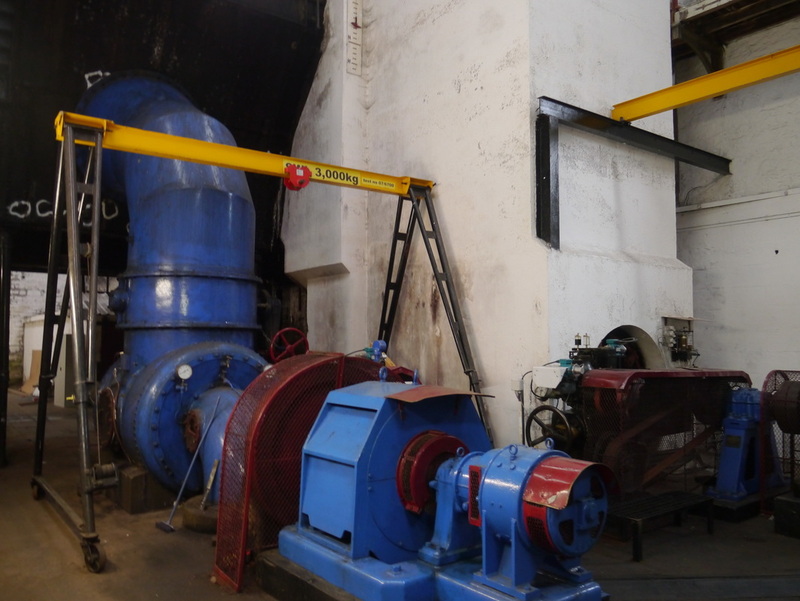 The distillery is still water powered, though now using less picturesque turbines - it is more than self-sufficient and sells surplus electricity to the national grid. Nearest station is Dunblane (DBL) (5-6 miles); Stirling (STG) (8-9 miles) - Live Train Times: DBL; STG. Stirling has a more frequent service. From Dunblane - Old Doune Road opposite Tesco is signed as a cycle route and joins up with Cycle Route 765, which takes you to Doune. (From the crossing of the A9 to shortly before crossing the A820 this does involve potentially muddy paths - to avoid these use the A820, or from the A9/M9 roundabout south of Dunblane the B824). From Stirling, the most direct route is along the busy A84. Alternatively, go via Bridge of Allan to Dunblane and proceed as above, or use the unclassified road signed to Carse of Lecropt, then B824/A820. (Note Cycle Route 765 between Bridge of Allan and Dunblane takes a hilly, circuitous route - again potentially muddy. The A9 here isn't too bad an alternative). 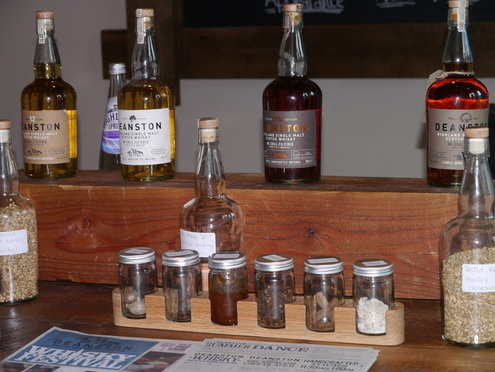 Once in Doune you will have to join the A84 for a short period, turn right immediately after the bridge over the River Teith (or left before the bridge if you have come up the A84), and bear right immediately alongside the Teith to the Distillery. From Callander - the old railway has not been developed into a cycle path, so the A81/B8032 is a better route than the A84 - and the B8032 comes into Deanston just behind the distillery. Without the bike - Bus 59 from Stirling Bus Station to Callander passes the Distillery hourly. 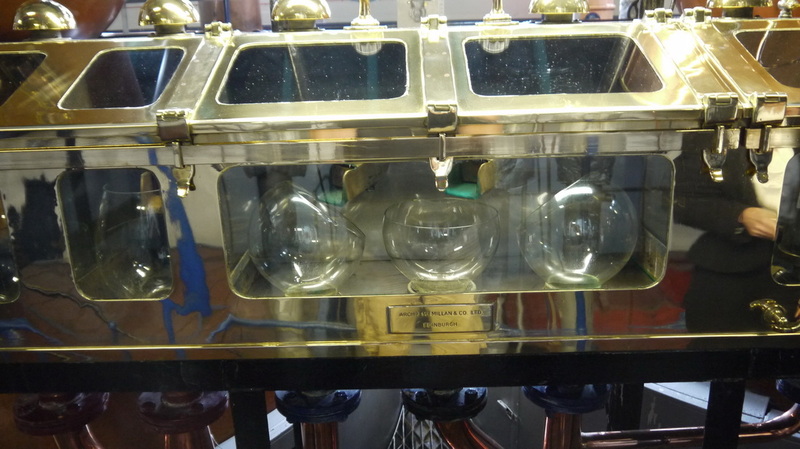 Independent bottlings are fairly rare. Photos on this page were taken by me. Click on photo to enlarge. 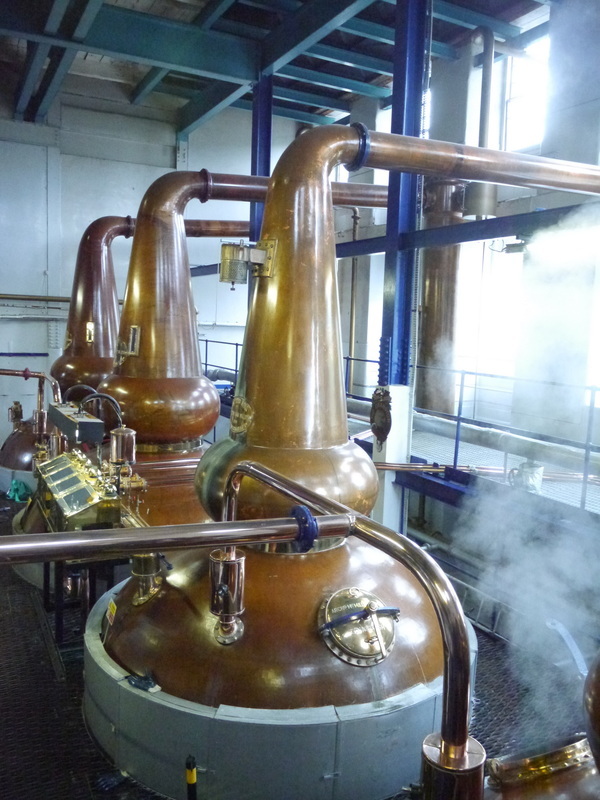 Full size versions of all my photos of Deanston Distillery will are available on Flickr.